A strong smile can make you look and feel better. 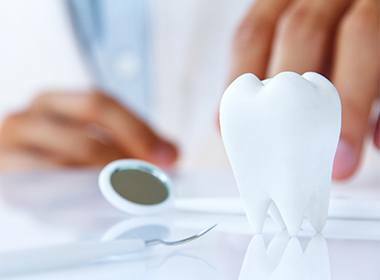 Optimal oral health contributes to improved whole-body wellness by lessening the risk of systemic issues such as heart disease, lung problems, high-blood pressure, and more. 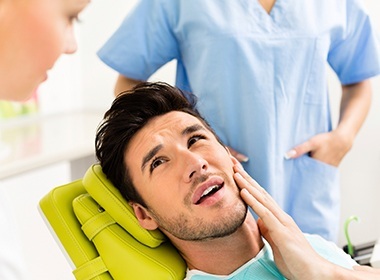 Lehigh Valley dentist Dr. Salivonchik offers a variety of general and preventive dentistry services to protect against dental damage and promote healthy function. To schedule an appointment so he can start safeguarding your smile, contact us today. Why Choose S. John Salivonchik, D.M.D., P.C. for Preventive Dentistry? 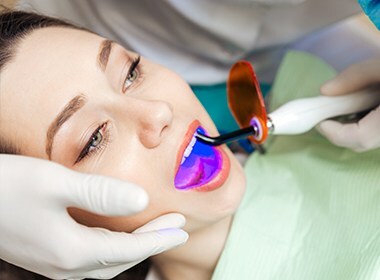 Six-month dental checkups and teeth cleaning visits provide an opportunity for Dr. Salivonchik and team to monitor a patient’s oral health over the long term, suggest therapies to prevent potential problems, and administer treatments to counteract damage. For example, many Americans over age 35 have some form of periodontal disease—gingivitis or periodontitis—many of them are unaware of it. We diligently examine gum tissue for signs of this stealthy disease (red, swollen or bleeding gums are often an initial sign) and work with patients to implement an oral healthcare regime to improve periodontal health. Sometimes, all that’s necessary is a more stringent at-home oral hygiene routine. Dr. Salivonchik or one of our dental hygienists can show you how to more effectively brush and floss your teeth, so you remove plaque and keep this disease at bay. When you want to protect your car from the elements, you either put it in the garage or place a covering over it. Dental sealants basically accomplish the same for your back teeth, which are the most susceptible to developing cavities. 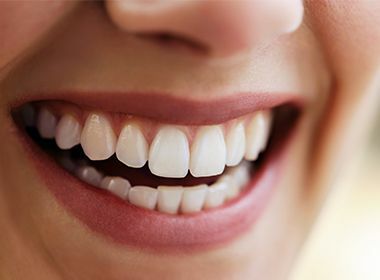 A clear composite resin material is applied directly to the teeth that quickly hardens into place, creating a thin barrier that prevents plaque, bacteria, and food particles from settling on and damaging the enamel. “Getting past the grind” is a common expression, and for many patients, that “grind” is literally their teeth while they sleep. Otherwise known as bruxism, this common response to daily stress can severely wear down the teeth to the point of breakage if left untreated. Fortunately, Dr. Salivonchik can provide patients in need with a custom-made nightguard, which will place a protective barrier between the teeth so they can’t come together during sleep. Oral cancer claims thousands of lives every single year, but it is actually quite treatable if detected during its earliest stages. To make sure our patients are never caught off guard by this disease, Dr. Salivonchik performs an oral cancer screening as part of every routine checkup. He’ll keep an eye out for any suspicious sores or growths in the mouth so patients can get a diagnosis and treatment as soon as possible if necessary, drastically increasing the likelihood of a successful recovery. The reason you’ll find fluoride in so many oral healthcare products is that it actually helps strengthen the enamel upon contact, making it more resistant to decay. To give you another weapon in the fight against cavities, topical fluoride treatments are a quick addition to any regular checkup. 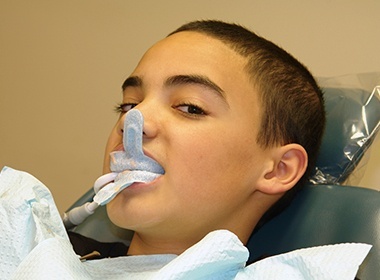 We simply apply a highly-concentrated fluoride gel to the teeth for a minute or so, and that’s it! Because 99% of your oral healthcare actually happens at home between your dental appointments, the products you and your family use every day are extremely important to your long term dental health! 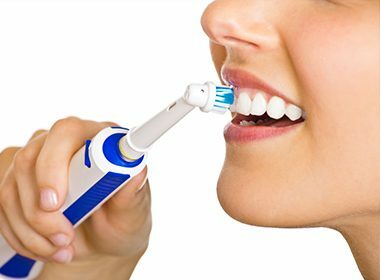 With the endless variety of toothbrushes, toothpastes, and other products available, it can be difficult to know which ones are best for you and your loved ones. Let our hygiene team make life easier for you! We’re always happy to give you recommendations so your household can make the most out of your daily brushing/flossing routine, ensuring that your dental visits are always nice and fast! 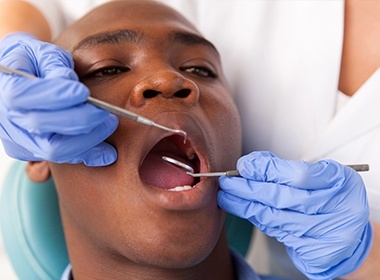 In addition to looking after our patients’ teeth, their gum health is just as important. Without the proper care, plaque and bacteria can accumulate along the gum line, leading to inflammation and an infection that can cause pain, bleeding, and eventually tooth loss. We’ll examine your gums every time you come to see us, and if we find any trouble spots, we have treatments that can take care of them right away. Patient comfort is extremely important to us because no one should ever have to stress about simply taking care of their teeth! If you’ve avoided appointments and much needed care in the past because of dental fear, know that we completely understand, and we’re ready to help. 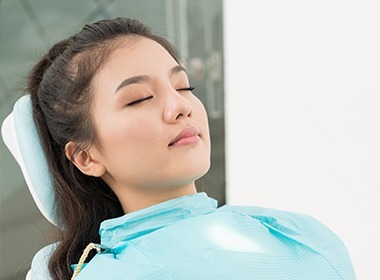 Whatever your level of anxiety might be, we can use sedation dentistry either Nitrous Oxide or deeper sedation to help give you a beautiful smile and a comfortable experience! Dr. Salivonchik halts the damage caused by bruxism (teeth grinding) and TMJ disorder with customized, non-invasive oral appliance therapy. 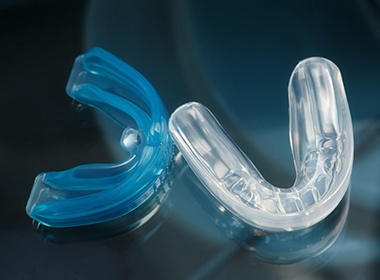 Worn at night when you are most likely to grind your teeth, this appliance—which is most commonly known as a nightguard—will protect your teeth from the harmful pressure of bruxism, and help to alleviate the symptoms of TMJ. No issue is too great or too small for Dr. Salivonchik to address. 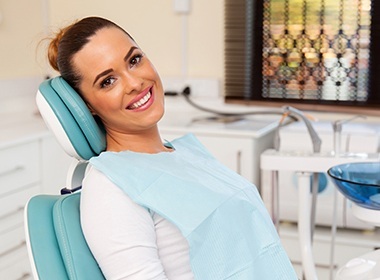 As your oral healthcare partner and a general dentist, he will work closely with you to create a personalized plan for a comfortable, functional, and beautiful smile. Call our Lehigh Valley dental office today to schedule your appointment or consultation with Dr. Salivonchik. 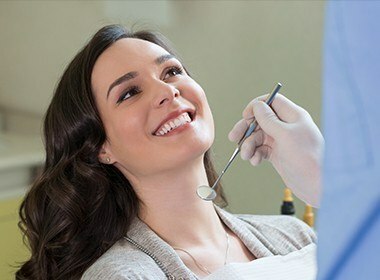 Our practice serves the Whitehall-Coplay area, the Allentown, Bethlehem, Easton area, the Poconos, and surrounding areas We’re ready to provide the general, restorative and cosmetic dentistry procedures you and your family need to maintain optimal oral health and an aesthetically pleasing smile.